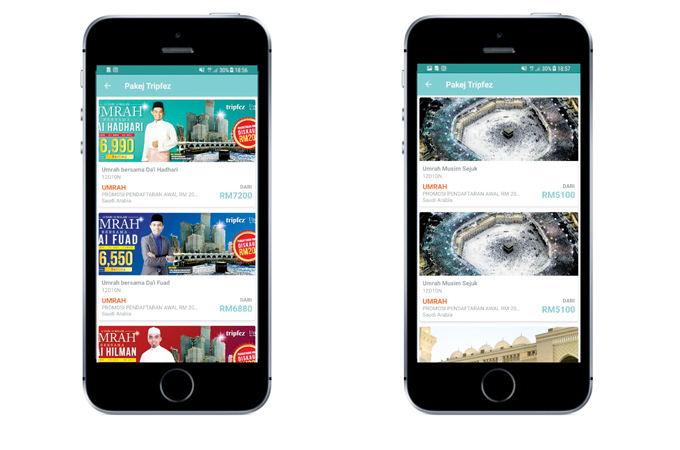 MUSLIM-friendly hotel booking portal Tripfez and Malaysia’s leading digital marketing specialist, Media Prima Digital, a subsidiary of Media Prima Group, have launched a new Umrah package booking feature on Islamic app Raudhah, made possible by the industry’s first Umrah API. The API connection gives third-party travel sites access to an Umrah feed with Raudhah the one of the high-profile channels taking advantage of Tripfez’s new direct digital distribution offering. Raudhah’s 250,000-plus existing users and Muslim travellers who download the free app can search for flights and hotels for Umrah travel according to multiple criteria, including date of travel and the number of travellers in their group, thanks to live supplier feeds facilitated by Tripfez. Once they have selected each component of their Umrah package, bookings can made via an online order form. Online Travel Agents can also access the API connection, enabling them to access and digitally package Umrah travel more easily.